Craft is attending the The 3rd Philippine Airport Modernization & Expansion Summit in Manila on 2018 June 19th-20th with Aluform. 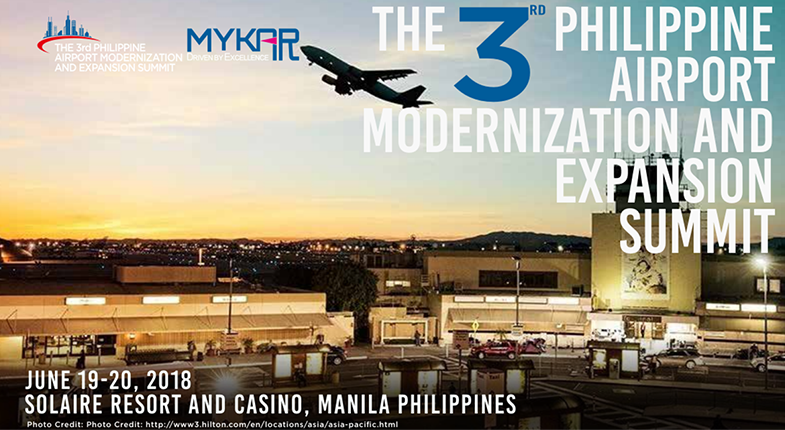 The Philippine Airport Modernization & Expansion Summit gathers high level executives from airport authorities, architects, consultants, contractors and government leaders for an intensive 2-day program. Industry leaders will present ideas on design & build challenges and commercial strategies. There will also be case studies describing how to make airports more profitable, comfortable and enjoyable. At the Summit, Craft and Aluform will have the opportunity to share their experiences of completed projects such as the new Cebu Airport and Ferrari World. Aluform stands for decades of quality aluminum façade and roofing systems. They work with leading architect firms such as Zaha Hadid, Atkins Global, Arup, Benoy, HOK and GMP. These firms appreciate Aluform’s expertise, their LEED contribution, as well as their value-engineering for cost-effectiveness. Aluform’s products are accredited and audited by official institutions such as DiBT from Germany, Factory Mutual (FM) from the USA and CSTB from France. Craft acts as Aluform’s design, supply and installation partner in Asia. With the experience of 19 airport projects under our belt, we understand the complexities of designing and building to airport requirements. And as the only company in the region specialized in both facades and roofing, we have a reputation of developing holistic solutions for the entire envelope. The Craft and Aluform partnership is the right solution for those wanting to build large, complex airports and we look forward to meeting you at the Summit.